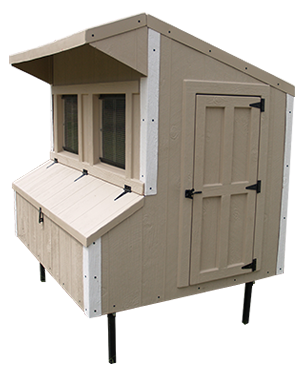 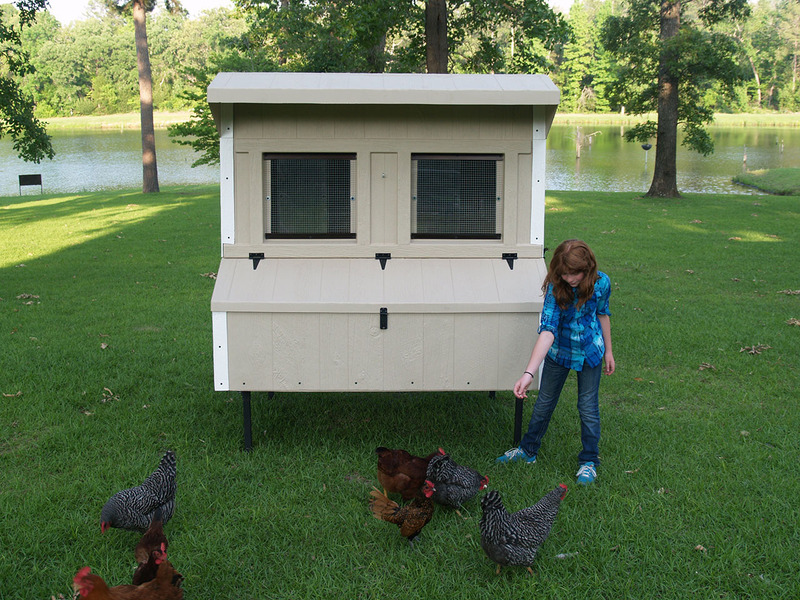 Our 6' x 5' chicken coop includes 5 nesting boxes. 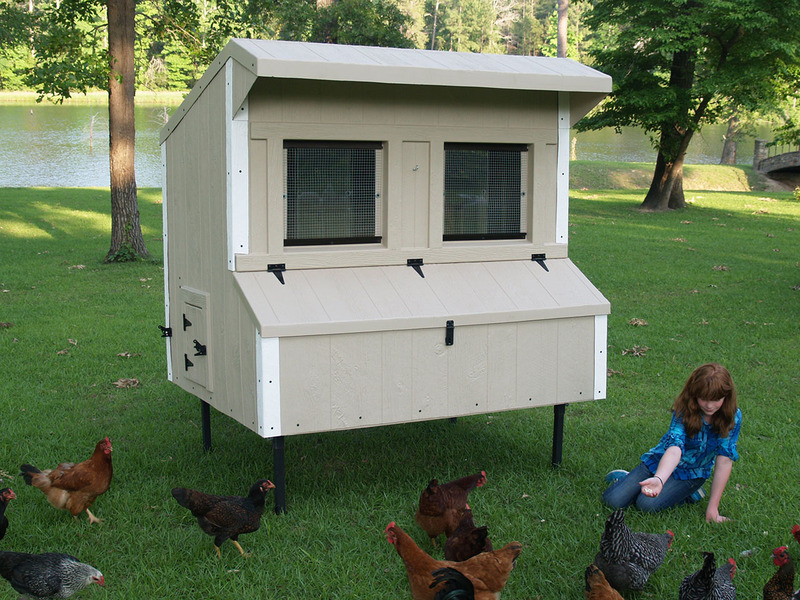 It can hold between 10 and 15 chickens and weighs only 350 pounds. 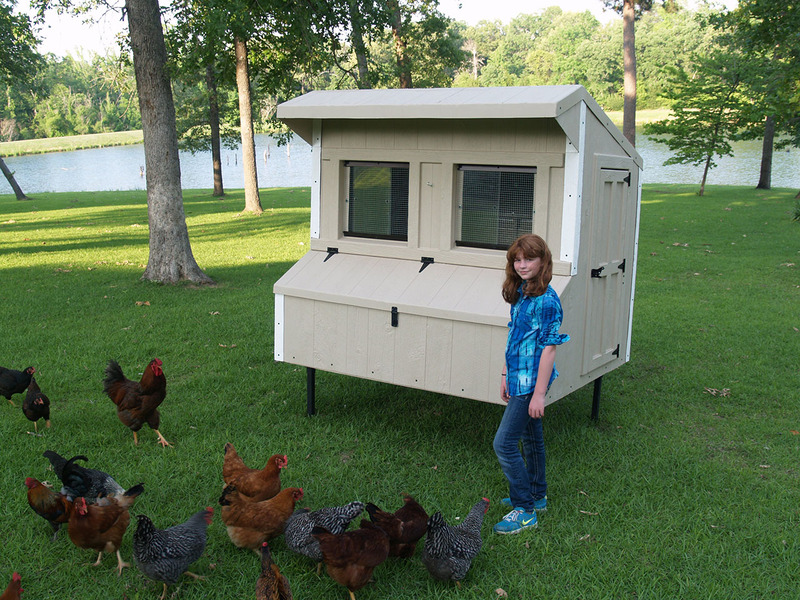 Our Traditional chicken coops ship as a kit. 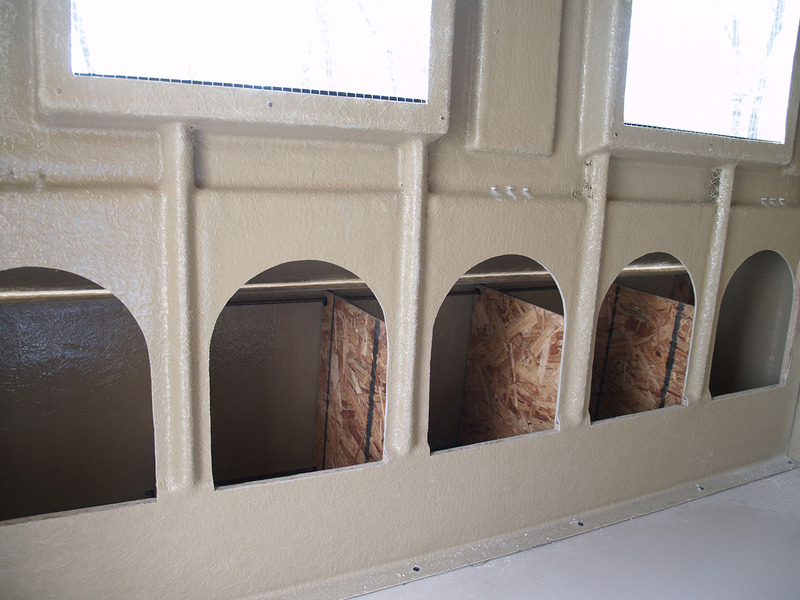 The doors, windows, and hardware are all pre-installed and the floor is mounted to the steel support base. 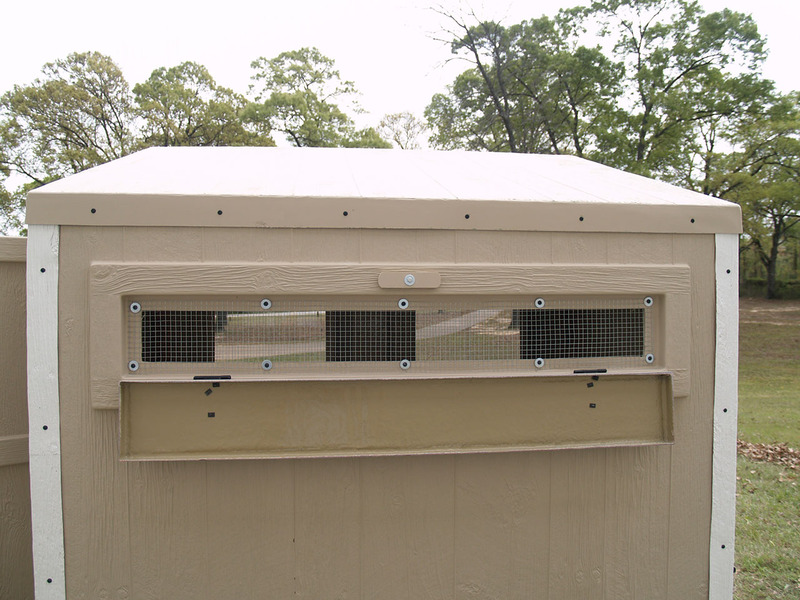 All you do is insert the legs into the steel support, assemble the wall panels together on the floor, attach the roof and assemble the nest box dividers.